When you are selling a vehicle to a private owner or purchasing a used vehicle it is necessary in the state of California to have a change of ownership smog inspection performed. This service provides the buyer with the confidence in knowing that they are purchasing a vehicle that can actually be registered and operated on California roadways once it is purchased. Our technicians can provide these services quickly for you so that you do not have to wait for extensive periods of time. 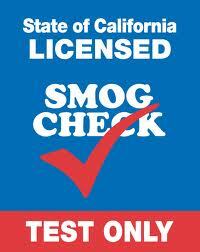 A & G Smog also conducts Bi-Annual smog inspection services in accordance with California regulations that have been in effect since January 1st, 2010 for diesel vehicles that are a 1998 or newer model that has a GVWR that is less than 14,000 pounds. We always provide you with a copy of the completed report that can be used for all DMV purposes.